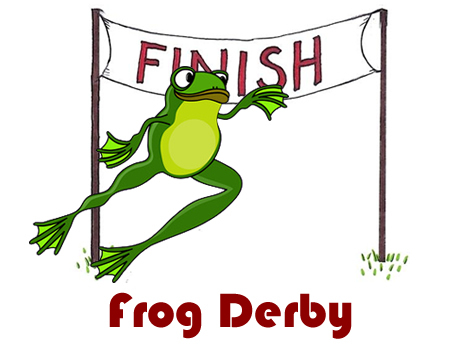 TBAE’s Frog Derby allows your team to try their luck as punters and their skills as jockeys. 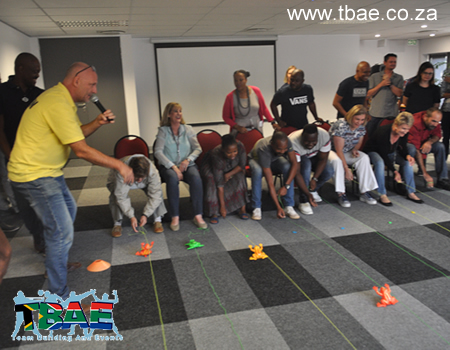 This team building activity is suited for any group size and focuses on decision making, negotiating skills, strategy development, communication and fun. In the Frog Derby activity, your team becomes the proud owner of a “racing frog” – but only for the evening! To start the activity, frogs are auctioned and sold to the highest bidding team. Each team has to select their jockeys and with betting booths opened, the racing can begin. The frogs move on string from one end of the course to the other and must stay in it’s lane or be disqualified. The fastest frogs from each race qualify to “hop” in the Grand Final.